Farmigea S.p.A. is a family company specialized in the Ophthalmology field, led by the Federighi family. Founded in 1946 in Pisa, where it still has its headquarters, the company deals with the Research, Production and Marketing of products for wellness and health of the eyes.  Farmigea was born in Pisa in 1946 as a small cosmetic factory and, in the course of its history it has specialized in the production and marketing of ophthalmic products. Today the company has an extensive list of products for the health of its patients that includes drugs, medical devices and food supplements, indicated in the main ophthalmic diseases, such as Inflammatory diseases, Glaucoma and Dry-Eye Syndrome. Farmigea brand products are recognized in 48 countries throughout the world as a synonym for Quality, Safety and Efficacy. In fact our products come from a long experience in the field of ophthalmology that has allowed the company to come out on the market several times with innovative solutions. Like when in 1982 he patented and launched the first reclosable preservative free single-dose eye drops in Italy. Or in 1996 when he launched the Blefarette wipes, the first disposable and sterile for ophthalmic use, still on the market today. Farmigea is today one of the leading European manufacturers of ophthalmic forms, being able to produce all sterile forms. 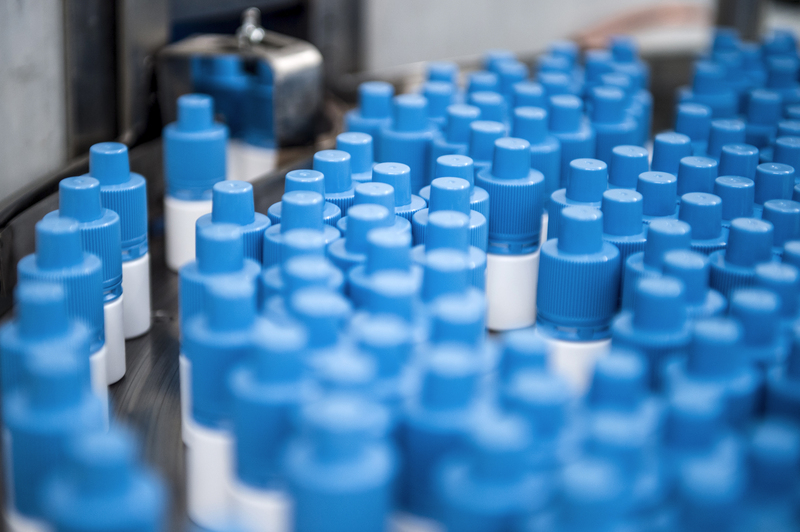 In fact, the Pisan production plant is able to produce Single-dose eye drops without preservatives, Multi-dose eye drops with preservatives, Multi-dose eye drops without preservatives, Ointments and ophthalmic Gels. The company has always believed in innovation and thus have an effective laboratory of Research and Development led by a team of experienced researchers in the Ophthalmic, Gastric, Pulmonary and Dermatological field; which is pursuing ongoing projects capable of bringing to market new products for the welfare of all. Farmigea has always had an international spirit pushing with its products, result of the best Made in Italy, beyond the borders of the national market, in 48 Countries of the world, in continuous growth; like Iran, Japan and Australia. Moreover Farmigea is present in the United Kingdom with its subsidiary Farmigea Ophthalmics, founded in 2015 together with a group of entrepreneurs operating in the local ophthalmic panorama. Innovate in health, to improve the future. 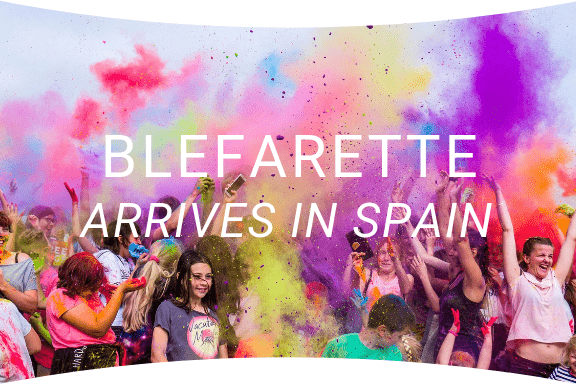 Farmigea has decided to launch Blefarette ophthalmic wipes on the Spanish territory, thus adding to the Farmigea branded Eye-drops and Ointments already marketed in Spain. 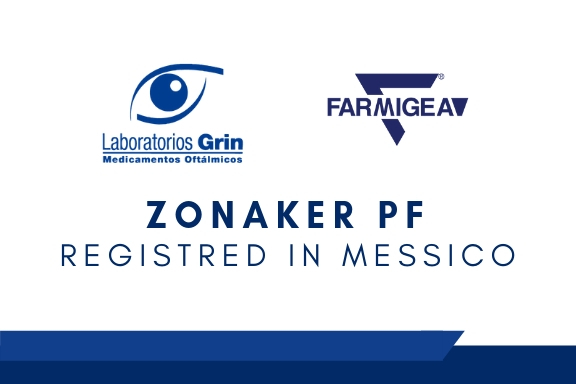 Thanks to the collaboration with Laboratorios Grin , Farmigea is expanding its ophthalmic product list in Mexico with the registration of a 10ml multidose preservative free tear substitute containing hyaluronic acidunder the brand name Zonaker PF. 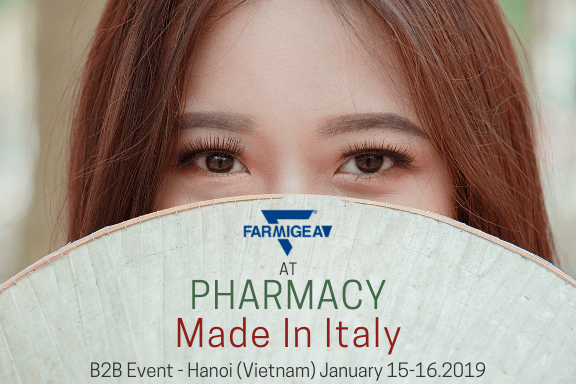 FARMIGEA At "PHARMACY MADE IN ITALY"
Farmigea attend the B2B event Pharmacy Made in Italy organized by Italian Chamber of Commerce in Vietnam (ICHAM) held in Hanoi, Vietnam, in January 15th an 16th. During the event Farmigea is meeting Buyers from 6 ASEAN country.